12 million vehicles are scrapped every year in the USA, about 5% of a total fleet of around 250 million vehicles, and many of these vehicles are used to repair other vehicles and keep them on the road. But how safe are these repaired vehicles? I would happily let my wife and children drive a car that I have repaired, because I know the standards that I have applied to the repair, and I am confident in my ability and knowledge to complete the job correctly, but I would not let them drive a car where I had no knowledge of any repair that had been completed. The newer the car, the worse it gets. In their quest to reduce weight whilst increasing strength vehicle manufacturers are turning to more exotic metals, including Aluminium and Ultra High Strength Steels, metals that cannot be sectioned and welded in the way that mild steel has been in the past. These metals are very heat sensitive, and too much heat can destroy the integrity of the metal, and this becomes an issue when the crash structure of a motor vehicle is analysed. Ultra High Strength Steels are used in areas of the vehicle body where occupant protection is of paramount importance, and a poor repair could be the difference between walking away from an accident and leaving on a stretcher or in a body bag. But it is not just the metals used, it is also the knowledge and expertise of the technician completing the repair, do they recognise the type of metal used and adopt the most appropriate repair technique for the vehicle? Do they know what parts can be sectioned or repaired and which parts need replacing, and when replacing structural parts are they using the recommended welding or bonding techniques and materials? Techniques that maintain the strength of welded joints, the correct bonding material applied in the correct quantities using the right tools? As an auto recycler and parts retailer do you know what areas of a vehicle body are Mild Steel, Aluminium, High Strength Steel or Ultra High Strength Steel? Does the customer purchasing that section or clip have the technical skills or knowledge to repair the vehicle correctly and safely with the parts you have supplied him? If the repaired vehicle was involved in another accident and an innocent person was killed or injured because parts supplied by you were not fitted correctly would you be hauled into court to answer some difficult questions? Even if you didn’t appear in court would you still be able to sleep at night knowing what had happened? If you are employed in the body repair industry and haven’t received training updates in the recent 5 years then you need to be investing in training to make certain that you can repair a vehicle properly and not put innocent people at risk, and if you are authorising and paying for body repairs then you need to be certain that the technicians working on that vehicle have the correct training, expertise and tools to complete the work to the necessary standard. I-CAR training (www.i-car.com) is an industry leading programme that reflects all of the latest body structures, materials and repair techniques that are needed in today’s body repair establishment, technicians trained under this programme will be to the highest available standard in the USA, and will also have access to the latest vehicle data and information. Where do auto recyclers stand in all of this? I believe that there is a duty of care to make sure that any safety related areas of vehicle repair are completed by qualified technicians, and this includes body ‘clips’ or sections. Purchasers of these parts must be able to show that they are capable of completing a safe repair, that can either be their own qualifications or the use of an approved body repairer, and if they cannot then they are not able to purchase the part in question and are restricted to ‘bolt on’ parts only. I know that there will be objections to this, and many will look at the possible loss of revenue that may occur, but the safety of other road users outweighs the financial penalty, and allows auto recyclers the comfort of knowing that they are doing the best for everyone. Complete Auto Recycling Show – Why it cannot be missed! The difference between succeeding or failing in business is narrowing all the time, smart owners and operators are always looking for the competitive edge that will lift them above their opposition, or drive cost out of the operation and improve efficiency. 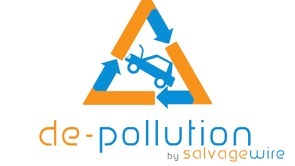 A day at the Complete Auto Recycling Show to be held in Skelmersdale in June 2012 could be one of the best investments that can be put into your business this year. 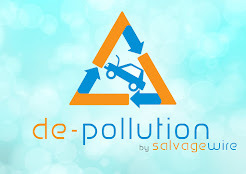 The show brings all areas of the Auto recycling industry together, from vehicle collection, through de-pollution and dismantling, stock management and sales, crushing and shredding operators will all be showcasing their products and services. Insurers, Health and Safety, ‘Green’ Parts, Hybrids and Electric vehicles, and much more will be discussed during the show, and networking opportunities with delegates from all over the world will give valuable insight into best practices and tried and trusted techniques that could make the difference to your business..
More details can be found at www.cars-expo.com and http://irt-autorecycling.org/ for those interested in attending from outside of the United Kingdom. Don’t keep it to yourself though, bring your family and your staff, use the show to learn, network, meet, and go away energised to develop your business and operation, improve efficiency, customer satisfaction and profits.